DAN! I owe you a movie post. I will get on that. Don't feel alone in your struggle. I also tend to have trouble with focus. It's a common thing. The advice to 'finish reading a book' is more important than you might think. I also recommend to read more short stories. The act of finishing will feed your brain to focus on finishing writing as well. Another thing to consider is this. I did somewhere around 15 false starts on Of Gnomes and Dwarves and at least four different drafts that were either thrown away or restarted from the beginning. Then I put it away and finally started my second book which I cranked out with amazing ease. I know that's not easy to hear, but once I put away a story that just did not want to work, I was free and able to clear my mind to work on other projects. I wrote 10 books and I'm now going full circle back to that first project that was so near and dear to my heart. I never forgot about it, I just needed time to be able to tell the story I wanted to tell. Retelling the same story through multiple drafts won't help the work. I suggest putting it aside and finish something else, be it a short story, another novella, or a new novel. I got better at story telling by writing a LOT of short stories that eventually got longer and turned into writing multiple novellas, which turned into writing multiple books. I'm now comfortable in writing at longer lengths and I feel my short stories have gotten stronger as well. What I'm trying to say is don't write the same book over and over again. Put it aside for a good long while and come back to it once you've almost forgotten about it. You can then realize what you were trying to accomplish and it will flow out so much easier and better. It's not always easy to put your story into a trunk, but most of the time, it's for the best. JR! Thank you so much! A friend told me not to feel bad and to write the next book but hearing it from you means a lot - and the way you explained it is so helpful. This is exactly what I needed to hear. I really appreciate it. I think I have felt bad about not doing the forth draft because for the first time there are other people who have read my novel. Everything you wrote rings true though, and it feels like a load off my chest. I always hear authors say in interviews that they wrote several novels before they started getting it right, and they have many trunked novels that will never see the light of day, or that they still like the idea so someday they'll go back to them. I just need to keep writing more novels, and short stories, and keep learning by doing. Thanks for helping me free myself to move forward without any guilt :) I really appreciate it JR! Thanks for taking the time my friend. Dan, I am in the same boat. I almost always seem have three or four major project going at once. 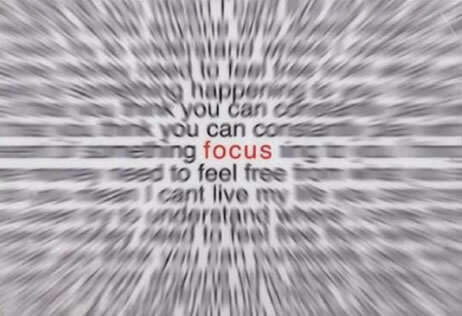 I have tons of other things going on in my life and no time to focus on any of them. Focus is a huge problem. What happens? I end up getting frustrated, over loaded and end up not working on any of them, until i hit a deadline for one, and then I end up dropping a lot balls so that I can make that one happen. Thus my stories 365 project has been idle for almost a week now, and look NaNoWriMo is right around the corner. But this is about you and not about my problems. I want to second short story writing. I am far from being as good as JR Murdock at anything, but I have written a large number of short stories. This is honestly my favorite form, but again about you not me. I learn a ton every time I write a new story. Everyone one of them teaches me something new and just being able finish them is huge. They are short enough to focus on and still allow me to see that new "more exciting" project on the horizon. I don't have any magic bullet. I don't even really have any answers for you since I seem to suffer from the same problems. The best I can offer you is, a keep up the good work. Thanks for the great post. It is nice to know that there are other people out there with the same issues. Thanks for your comments Jeff. Like you said, it's good to see that others are dealing with the same issues so thanks for commenting. I agree with you guys about short stories, but I also wanted to throw another aspect in here that I recently heard. In the end I want to write novels, because they are what I read, but I do love writing short stories and I think they're a great way to learn about writing stories in much less time. That said, I was listening to a novel writing class by Brandon Sanderson on YouTube and he said that short stories and novels are such a different animal that if you want to write novels you should practice by writing novels. Now, I'm still going to write short stories because I love them and some ideas just call for far fewer words, but it did help me to not feel like I was doing the wrong thing by jumping into novel writing even though I haven't "gotten my chops" by writing hundreds of short stories. I still think short stories are a great way to learn how to write though. They can teach you to get to the point for one thing - which is always good in writing. Learning to tell stories with less characters to juggle is also something I see as a great way for new writers to learn all kinds of things. Like you said every story teaches you something new and you can write way more short stories in a year than novels. Thanks for adding to the discussion Jeff, your comments were very helpful to me and I'm glad you shared about your stuff. I don't want it to be all about me :) Thanks for telling me to keep up the good work my friend, and you do the same. to be clear, I agree with Brandon. Honestly who am I to disagree with him, I mean really. :) Anyway my point. I had a point here somewhere, maybe I left it in my other pants. The point was that don't think short story writing is a way to practice for novel writing. The only thing you can do to practice novel writing is write a novel. But like you and I both already said there is a lot to learn from the story story form. Really story from does not change. 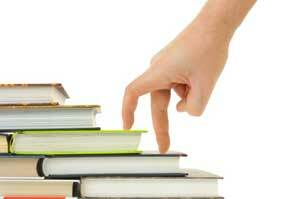 You you still have to have the same basic accepts in a short story that you do in a novel. Character is important, moving the plot forward, Also very important. You have to have a problem that your character has to overcome and you have to come to some resolution of that problem. The difference is the amount of time you can spend developing those two. That, of course is way over simplifying the whole thing. But the basics of story are the same. It is about how you tell that story that is different. A Novel is not just a long short story and the short story is not just a short novel. I think Brandon knows a lot, obviously his career is amazing and I really like his books - but he hasn't written many short stories and I do have to agree with you and JR that you can learn A LOT from writing short stories, and you won't be spending so much time crafting a huge story when you still have a lot to learn. I think you and JR made great and very valid points. I just threw that in there because I was very surprised to hear Brandon say that because I've never heard that point of view before. I'm honored to have you two creative dudes commenting on my blog. You guys both have way more experience than me and I really appreciate any advice you or JR have. Both of your posts brightened my day!